The Mini Cooper delivers agile handling, crisp performance and an interminably cute bulldog appearance in a tidy, efficient, front-wheel drive package, with plenty of space and comfort for front seat passengers. The number of Mini Cooper body styles has expanded to include Hardtop, Clubman, Coupe, Convertible, and Roadster versions, all similar in terms of mechanicals, structure, front sheetmetal, and interiors. All ride on the same 97-inch wheelbase except the Clubman, a stretched version that rides on a 100-inch wheelbase. The styling of the Mini Coopers was freshened for 2011 with new bumper, tail light and wheel designs. The front ends were also reshaped to meet new requirements for pedestrian safety. For 2012, updates for the Mini Cooper models were confined to cosmetics, including a new line of trim options aimed at giving owners more opportunity to individualize their cars. Offered as a new collection of custom options called Mini Yours, the choices include a two-tone leather-clad instrument panel with fancy stitching; a two-tone leather steering wheel; Soda pattern Lounge Leather upholstery; 17-inch aluminum alloy wheels; and new interior and exterior colors. The 2012 Mini Baker Street and the Mini Bayswater are special edition Hardtop models with expressive design features and exclusive equipment influenced by contemporary London style as the city prepares for the Olympic Games. 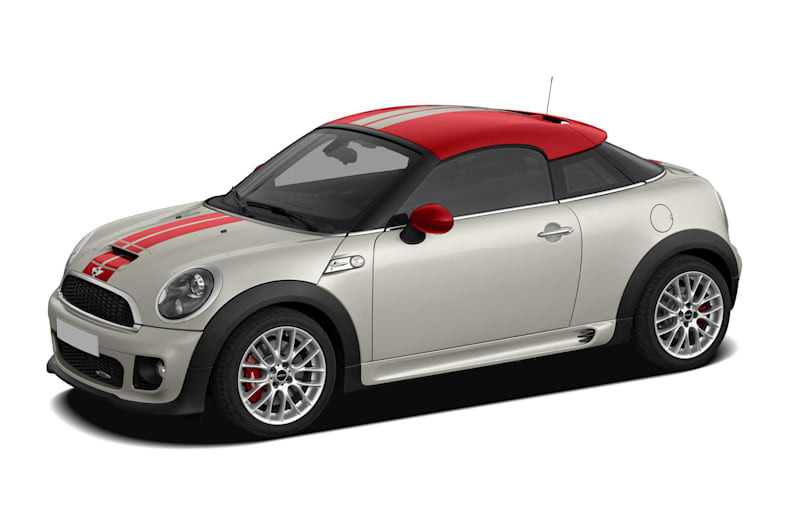 Mini Baker Street is oriented around the fresh, youthful style of the brand, and comes with the 118-hp Mini Cooper engine. Mini Bayswater is focused on the sporting verve and agile handling for which the Mini is renowned and is available with either the Mini Cooper engine or the 172-hp Mini Cooper S engine. The Mini Coopers are powered by a 1.6-liter four-cylinder engine available in three levels of power output. All Minis are available with an optional 6-speed automatic. The Mini Cooper models come standard with a 1.6-liter four-cylinder engine rated at 121 horsepower and 114 pound-feet of torque. This engine works best with the standard 6-speed manual transmission, which adds to the sportiness and makes the Mini Cooper fun to drive. Acceleration performance isn't quick but it's adequate. The Mini Cooper delivers excellent fuel economy, earning an EPA rating of 29/37 mpg City/Highway, or 28/36 mpg with the automatic. Premium gasoline is required, however. The Mini Cooper S models come with a turbocharged version of the same engine that generates 181 horsepower and a substantial 177 pound-feet of torque, making it one of the world's most powerful engines for its size. All the Minis are fun to drive, but in Cooper S trim they deliver exhilarating performance and nimble handling that's most easily appreciated on a twisty back road. With all that torque, this engine works well with the automatic though we still prefer the manual for sportiness. In spite of the significant performance difference, fuel economy is still excellent, earning an EPA-estimated 27/35 mpg or 26/34 mpg with the automatic. Premium gasoline is required.